The ‘Traction’ was introduced at the 1934 Motor Show in 3 forms, the ‘7’,’11’ & ‘22’. Automobiles Citroën always made a habit of being at the fore front of car design and the Traction Avant incorporated several of the newest ideas in this area. It was to be front wheel drive with an automatic gearbox all set in the front of an American Budd body companyinspired all steel combined monocoque body-chassis and it should cover 10 kilometers on one litre of fuel. The transmission layout was Cord influenced with a 3-speed manual gearbox ahead of the engine and differential, the automatic gearbox having proved troublesome in pre-production testing. Suspension took the shape of Torsion bars alll round for springing while the front suspension was independant. By placing the wheels at the far corners of the design, an idea also seen in the Mini, interior space was maximised and a very stable car with a smooth ride was created. The traction was only 60 inches high and it's low line look was emphasized by the lack of any running boards! 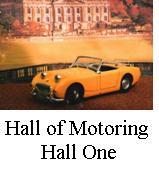 Andre Lefebvre was the man who organised the building of this revolutionary car in 13 months. But the cost of developing the Traction Avant was high and Andre Citroens firm met financial difficulties in 1934, in the end having to declare bankruptcy. The Michelin Co. (Citroën's largest creditor ) took over the factory. Michelin ran part of the company as a research facility but also proceeded with a more powerful car and the 15, with 2867cc 6 cyl', appeared in 1938. The car was used during the 2nd world war by the German Army & French Resistance. Later by criminals, Police and Government departments (not forgetting Maigret) for it had solidity, security, prestige and power. In 1948 the engine was designed to rotate ‘clockwise’. Why it had rotated anti-clockwise before that date has never been known! Although the Traction Avant was not the first front wheel drive car, or even the first front wheel drive production car, it was one of the most successful front wheel drive cars of the 1930's. 760,000 units were produced between 1934 and 1957. As can be seen from the photo' on the right Rod has made three versions of the Traction Avant. From this photo' you can see the difference size due to scale. The largest of the three models being a 1/24th scale "15/6 traction avant", the middle model one is 1/32nd scale "light 11" traction and the smallest one is 1/43rd scale "11cv" traction. All are Heller kits. Although all built at different times all of the models have been brought up to modern standards with Halfords car paints for the body work finished and a mix of Humbrol acrylics and enamels for the rest. Bare metal foil has been used in places so the chrome parts can be improved.